Pawsitive Impressions: Cheektowaga, NY Grooming Team Leads the Pack! It takes a memorable experience for a neighbor to send in a positive comment. However, it is pretty incredible when you receive 2 unsolicited comments in just a couple weeks! 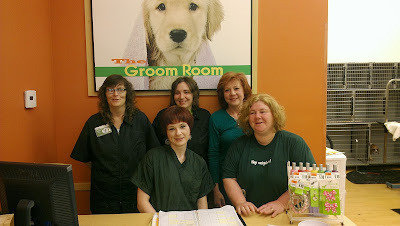 The Groomers in Cheektowaga, NY did just that- check out the letters from our neighbors. 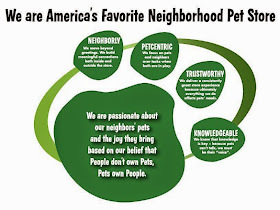 Their TRUSTWORTHY & KNOWLEDGEABLE service creates loyal & dedicated neighbors! Pat on the Back to the team in Cheektowaga, NY! I just wanted to say that your girls in the Grooming area at the Union Road Store in Cheektowaga, NY, are the most friendly and professional pet care people I have been to with my German Shepherd, Sheerah, my cat, Cali, and all of my rescues that I foster with through BigDogsBigHearts. Denise, and the other girl are so gentle with all of them. They really know what they are doing, and put the animals at ease. All your staff there does a great job with my pets. I wanted to say that the Pet Supplies Plus that is in Cheektowaga, NY is great. My dog Abby is groomed there. Abby is my kid and I won’t trust her to many people but Denise and crew are the best. I always support this store. My dog eats jams mini chunks. Wegmans sells the same 20 pound bag for 2 dollars less but you still get my business. The manager, Ray, is very good at getting everybody on the same page. I think you can feel it when you visit the store. I will always recommend your store.